Bahrain, Saudi Arabia, Egypt and the United Arab Emirates on Monday decided to sever diplomatic ties with Qatar. CAIRO (Sputnik) — Bahrain was the first state to make an announcement. According to the official statement published by the Bahrain News Agency, Manama's move has been motivated by Doha's persisting attempts to destabilize situation in Bahrain. "Due to the insistence of the State of Qatar in further destabilizing security and stability in the Kingdom of Bahrain and interference in its affairs, continuing the escalation and incitement media and supporting armed terrorist activities… the Kingdom of Bahrain announces the severance of diplomatic relations with the State of Qatar," the statement read. Bahrain gave Qatari diplomats 48 hours to leave the territory of the kingdom. Also, Manama suspended air and sea communication with Doha and banned citizens of Qatar from visiting Bahrain, and prohibited its citizens from living and visiting Qatar. Minutes later, Riyadh, Cairo and Abu Dhabi made similar statements while Saudi Arabia and Egypt also suspended air and sea communication with Qatar. "The Government of the Arab Republic of Egypt has decided to sever diplomatic relations with Qatar because of the continued hostility of the Qatari authorities towards Egypt," the Egyptian Foreign Ministry said. Simultaneously, the Saudi-led coalition has announced the cancellation of the Qatari participation in the military operation in Yemen citing Doha's support of al-Qaeda and Daesh terror groups. 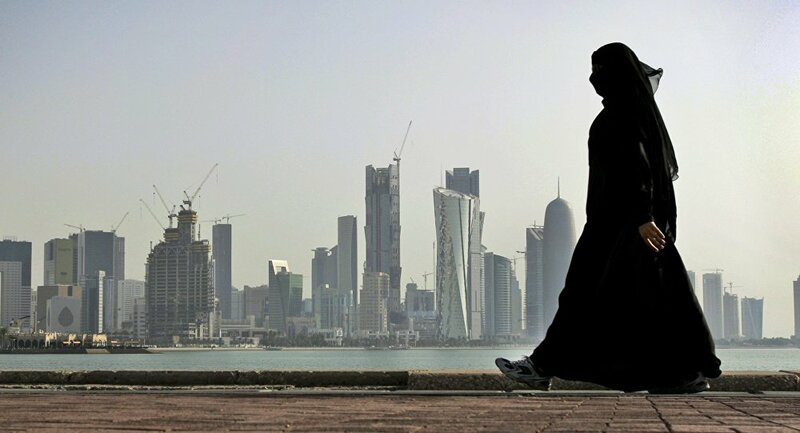 The conflict between Qatar and its neighbors occurred one week after the Arab Islamic American Summit in Riyadh, when the Qatari news agency posted a speech on behalf of the country's emir in support of building relations with Iran. At the summit, Saudi Arabia on behalf of all the guests condemned Iran for its hostile policies and threatened with an adequate response. Later, the official representative of the Qatari Foreign Ministry said that the agency's site was hacked, and the speech on behalf of the emir was published by hackers and has nothing to do with the Qatari leader. However, Saudi Arabia, the United Arab Emirates and Bahrain considered this refutation to be unconvincing and continued to insist that the words about the normalization of relations with Iran really belong to the emir.